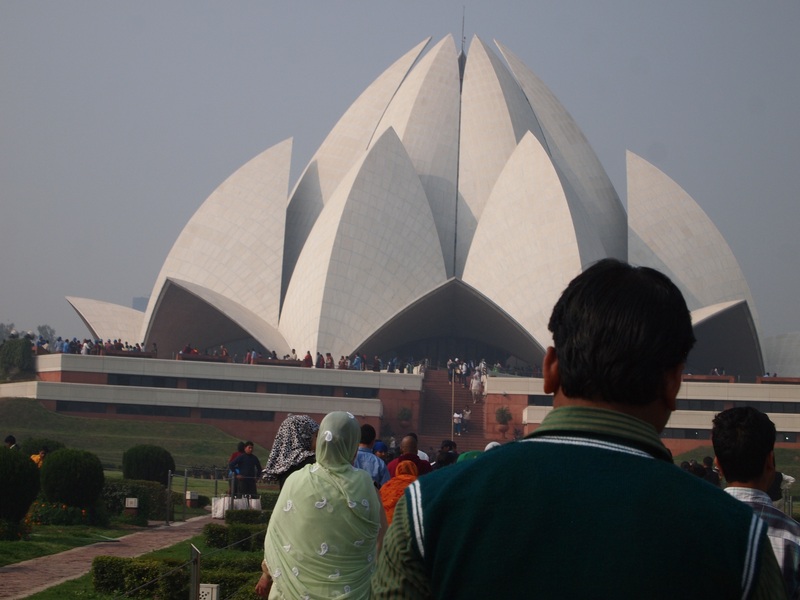 Lotus Temple with People Lined Up to Enter. Detail of Marble Cladding at the Lotus Temple. 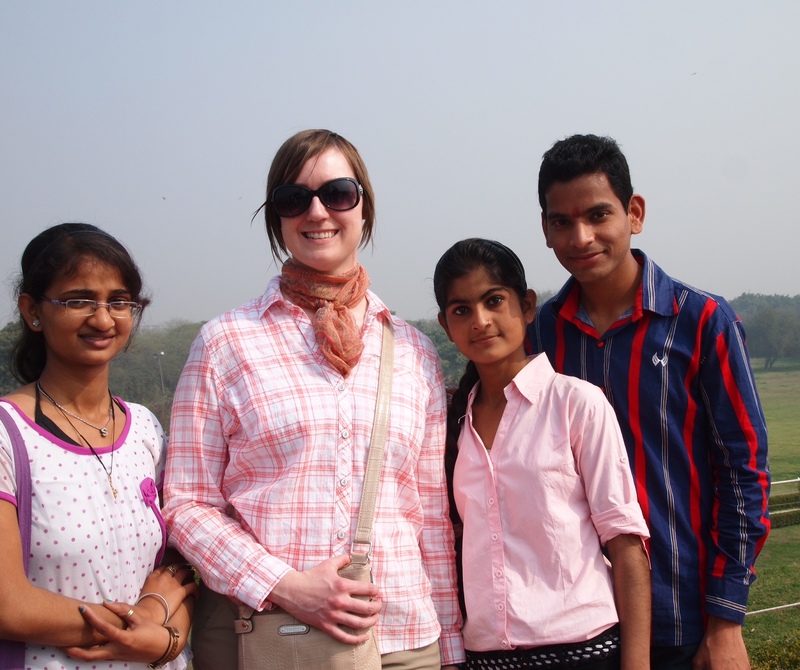 Overcome all obstacles to get to the Lotus Temple in Delhi at metro stop Kalkaji Mandir. The day that Lenore and I went throngs of people were present. 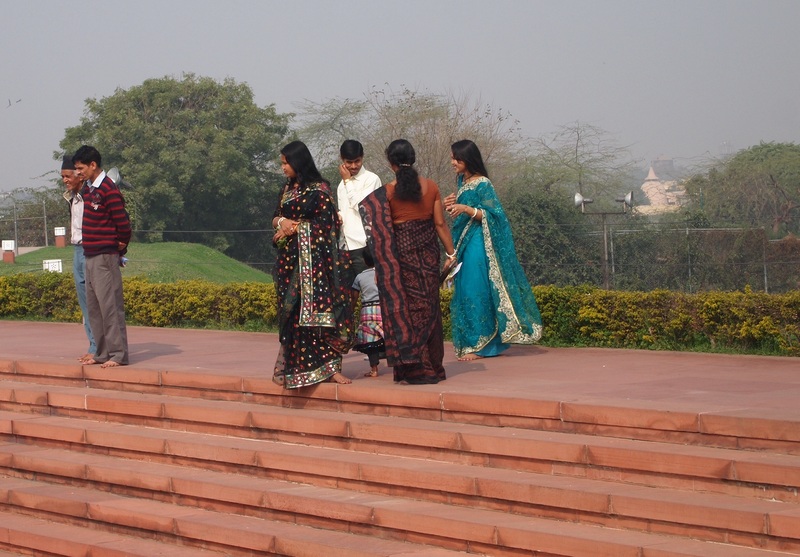 They were wearing beautiful clothes of a variety of colors. 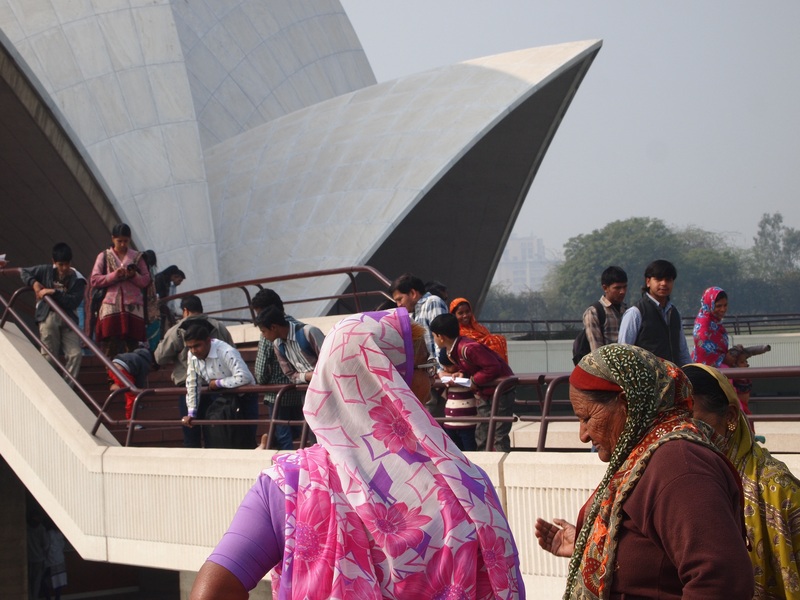 Conversations before entering the Lotus Temple. Elegantly Clad People were all around. You can see the temple from a great distance–it is like gaining focus as you get closer to it. 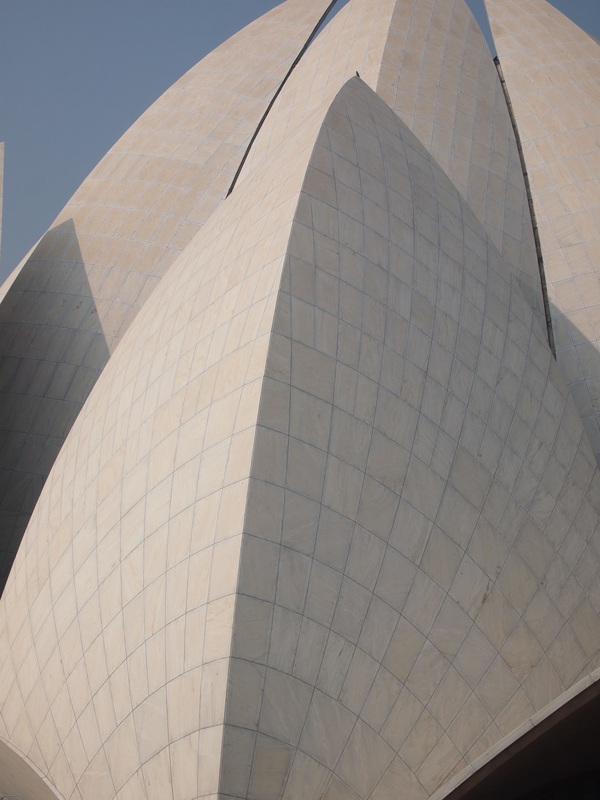 The Lotus Temple is of the Bah’ai faith which also honors all religions. You are requested to deposit your shoes before climbing the stairs to the temple. 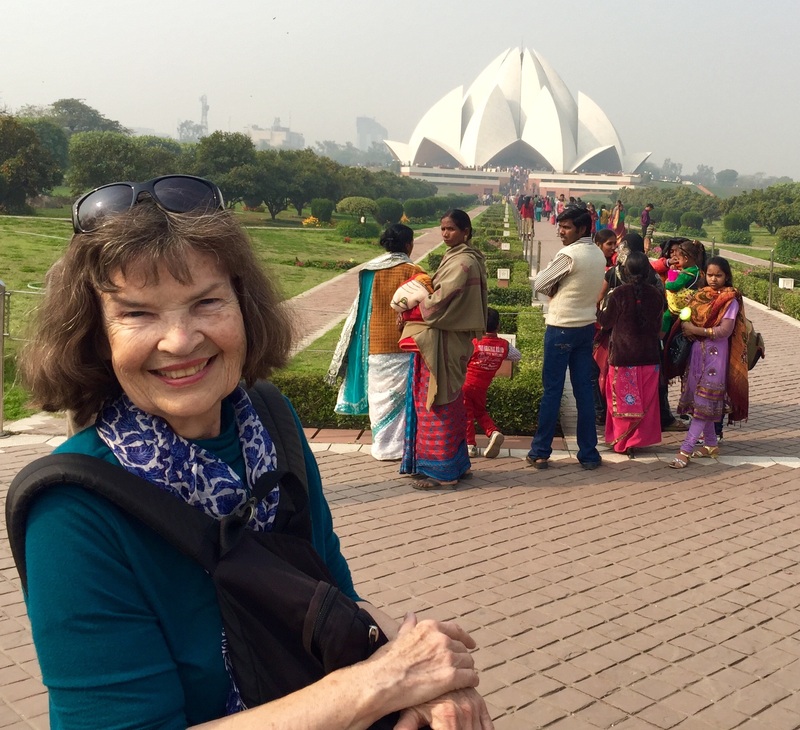 This entry was posted in ART, Contempory, Experience the Moment, love of life, travel and tagged architecture, Lotus Temple, Travel in India. Bookmark the permalink.